Rich Cerruto has been a practioner and competitor of Brazilian Jiu-jitsu since 2006 and holds the rank of purple belt. Prior to retiring from the high-tech industry in 2014 Rich lived in Tokyo, Japan where he trained at Axis Academy, for over 6 years and prior to that in California. He has competed in over 20 tournaments and most recently won the silver medal in the 2016 World Masters and gold medal in the 2016 Asian Jiu-jitsu Championships. Prior to that he took gold medals in both Gi and No-Gi Divisions in 2015 Northern California NAGA (North American Grappling Association) Championship. 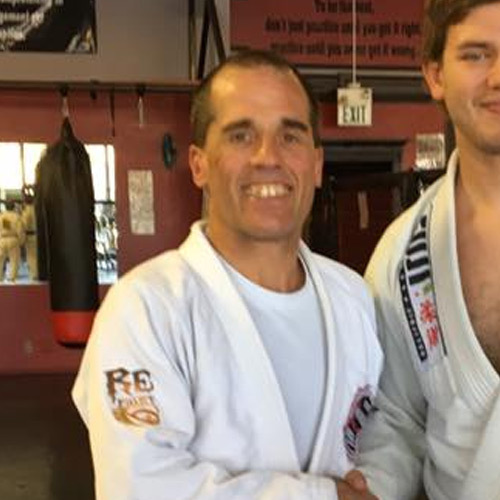 Having begun training at age 43 Rich believes it is never to late to start BJJ training and welcomes practitioners of all ages.